Can Chiropractic Adjustments Boost Immune Function? You might only be reading this because you’re skeptical, but we’re glad you’re curious enough to read it anyway. There are a lot of alternative treatments that claim to benefit the immune system, but generally, the claims are made in vague enough terms to make it difficult to be able to prove or disprove them. This is where Chiropractic is different. Chiropractic adjustments return the spine to its natural alignment, correcting “subluxations,” which are misalignments of the vertebrae. How does this improve immune function? The vertebrae are the bony casings around the spinal cord which protect it from injury. They are separated by disks, similar to cartilege in other parts of the body, that cushion the spaces between the disks, preventing friction during movement. The spinal cord functions much like the main power cord for your body, supplying power to all the other parts. Like a high voltage line, it has insulation, known as the myelin sheath that prevents the current from going places where it’s not intended to go or crossing into the wrong paths. Like an electrical network, there are offshoots that provide power to specific locations. In the case of the spinal cord, those offshoots are the nerves that branch off between the vertebrae to provide nerve impulse (the way your brain controls the body) to all of your various body parts and organs. 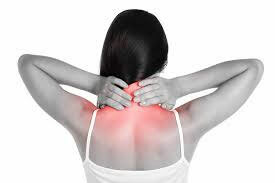 When your spine is out of alignment (subluxated), it exerts pressure on the nerves that are passing between those two vertebrae, and can impact the function of that body part. Most of us know that when we have tingling and/or pain in an arm or leg, it’s due to a “pinched nerve,” but we don’t know what it feels like to have a pinched nerve that leads to an internal organ. It might manifest as pain or loss of control in cases where we have control, like the bladder or bowels, but it might just silently reduce function. This is where Chiropractic can help with boosting immunity and improving organ function – a benefit which people tend to question, because it’s not part of the spine. Another way to look at it is that the spine is like a garden hose. When it is functioning properly, it provides a good supply of water to your sprinkler, which in turn provides water to your lawn and garden, amking it grow. 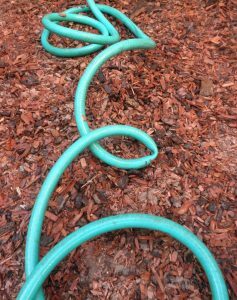 If the hose is kinked, water flow will be greatly diminished. If you don’t notice, or don’t do anthing about it, your lawn or garden will suffer. Since our spines are on the inside, we can’t see the reduced flow of life sustaining energy with our eyes, so we have to learn to listen to our bodies. Multiple studies have shown improvements in white blood cell activity almost immediately following Chiropractic adjustments, and the white blood cells play a major role in immune function. Immune function is just one of the many invisible functions of our bodies that require an unimpeded flow of nerve impulses along the spine in order to function optimally. At this time of year, with school starting and autumn right around the corner, staying free from contagious disease becomes more of a challenge. Do you and your children deserve to have every advantage in that battle? If so, consider coming in to Wantagh Woods Chiropractic for your Chiropractic adjustment.